Oddly, my unrefreshed memory of it was it was kind of angsty, particularly where it involves the title cat. You have me curious about looking at it again. Did you (or your daughter) ever read the runner-up that year (along with Sterling North's raccoon-pet memoir RASCAL), the contemporary western THE LONER by Ester Wier? 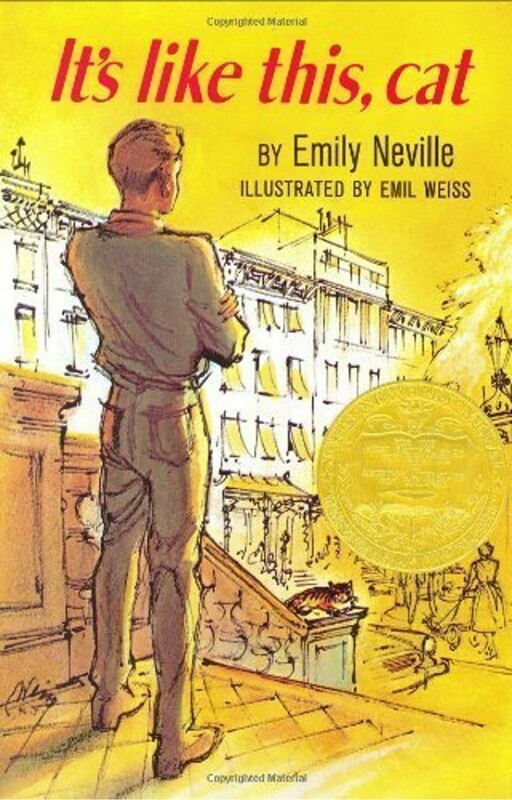 My favorite novel for quite a stretch of my youth, when I was making my way through the Newbery lists in the early-mid '70s...and definitely some grim to it. I never read THE LONER, as far as I recall. I definitely read RASCAL, though. I believe that was one of the books we read in my fifth grade class, although I probably would have read it anyway since I tended to pick up all the animal books I could find back then. The 1964 ballot, for 1963 books, was a good pet year...THE LONER, which does stand up on adult re-reading (at least for me), also involves the relation between the young protagonist and, among others, the shepherd dog he works with in the course of learning his way around his new job and life. What a damn shame it is that that nice, clean, safe city has to be a fantasy, instead of reality. I thin it was a lot like that in the Fifties, but began changing in the following decade, and now, like most cities it's kind of "enter at your own risk". I read this about the same time you did, and liked it, though I couldn't have told you a thing about it until I read this review. Thanks, as always, James. I too read this one in third grade. I remember enjoying it but being disappointed that there wasn't more Cat in it. Now RASCAL is a different story. I loved that one so much I'm almost afraid to re-read it. @ John, I re-read RASCAL about five or six years ago and still enjoyed it, and the illustrations. Rick, I can tell you that despite what the media likes to highlight, New York is at least as safe as we've been since the 1960's (or earlier), with a few exceptions. As for clean, with 8 million residents and more millions coming in daily to work, plus millions more out of town visitors, it never was. What a great book. I read it as a child, then again as a teen, when it had more meaning. Your review overlooked Dave's relationship with his father, which was bumpy at times. I found the book in an antique store some years ago and snatched it up. It's one of my treasures. And, yes, my first look at New York, apart from "The Saturdays", by Elizabeth Enright. Dave's father really is a good character, and I should have mentioned him.